to get paid from your WordPress website for your services, digital products & programs. 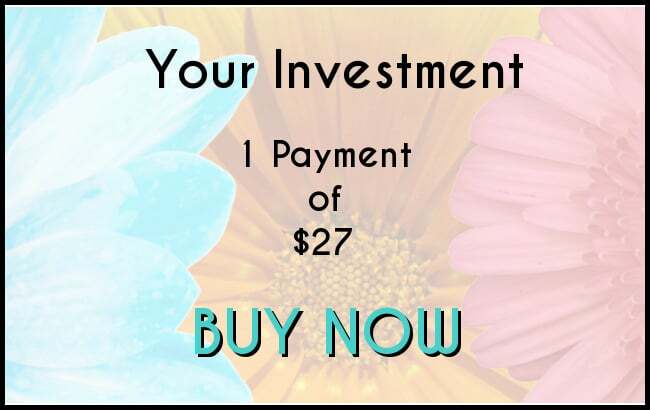 to easily and effortlessly receive payments. 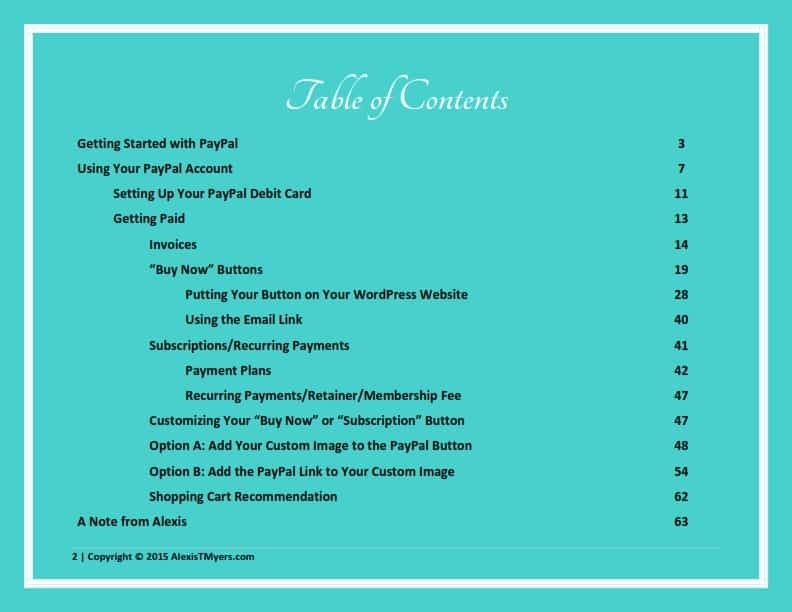 64 Pages of Step-by-Step Instructions and Screenshots – that show you exactly what you need to do and where you need to go to setup your free PayPal business account and get paid. Instructions on how to get paid in multiple ways – from “buy now” buttons to invoices to recurring payments. Instant Access to the Downloadable or Printer Friendly version – so you can learn in the way that fits you best. Adding a “Buy Now” button to any page of your WordPress site so your clients and customers can quickly and easily pay you. Digitally sending a detailed invoice to your clients so they can pay you with the click of a button from their email inbox. Offering multiple payment options so your audience can benefit from having a one-time payment or a payment plan. Setting up a retainer fee where an ongoing client can manually pay you once, then have monthly payments automatically deducted. 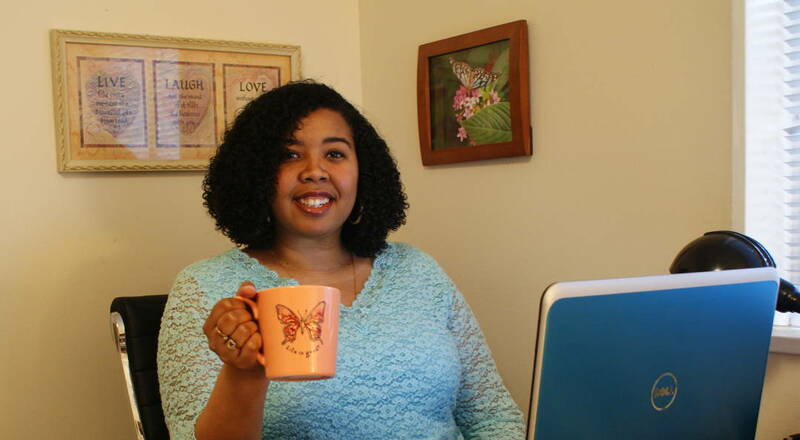 You get to benefit from my years of experience where I have created and/or managed numerous business websites, as well as helped to build and run several Passionpreneur businesses as a former Techie VA and Web Designer. Since 2012 I’ve worked with multiple Passionpreneurs helping to build and run their online businesses from behind the scenes. Now, I’ll teach you everything I know to empower you to create and run your own business website. I’m adamant about teaching how to do things the most easily and affordably, so that you don’t have to suffer from overwhelm or break the bank just to get started with your business website. I also believe it’s important to know how to do things effectively, so that you’re actually getting the results that you want instead of wasting your time on things that don’t actually work. And it’s imperative to do business authentically so that you can truly express who you are in your business without compromising your personality or values. Work with someone who is genuinely passionate about YOUR passion and success. Learn from someone who is adamant about making technology easy and affordable. Benefit from my natural ability to see things from the client/customer/visitor perspective. I’m passionate about people SHOWING UP in the world to do what they were meant to do and live the lives they were meant to live. For many of us, this includes online business and what I like to call Passionpreneurship. The technical and strategic aspects of these ventures should NOT hold us back from making a difference and achieving greatness. This is why I’m also passionate about MAKING TECHNOLOGY DOABLE, so that we can remove the blocks that may be holding you back from doing your important work in the world. I created this e-book for this very reason, to make getting paid from your website as quick, easy and achievable as possible for all those who really want it and are willing to do what it takes to get it. Questions? Email me at [email protected] I’m happy to help!